Ithaca Swing, West Coast Swing and Lindy Hop Dance Class / Classes WebSite . 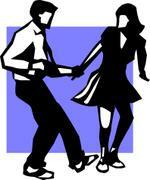 Ithaca Swing, West Coast Swing and Lindy Hop Dance Class / Classes Links Page . Ithaca Swing, West Coast Swing and Lindy Hop Dance Class / Classes InterCultural Communications site. New York City 1908 - 1927. Atlanta, Georgia 1895 - 1924. New Orleans, Louisianna 1880- 1932. Cleveland, Ohio 1912 - 1928. The dominance of the New York City focus came as a result of two issues. Two: New York City, or Madison Avenue, under the leaderhip of Osbourn ( who created the Lucky Strikes campaign of 1919 ), created modern marketing and advertisement, and this was applied fully to the entire world. Thusly, the choice of linking Dan " Z " ing to " da " Jazz to Charles Lindburgh was no accident. Anything, and everything, then, sought out his name and accomblishment. Then various dance studios as early as 1940's, through largely Arthur Murray ( unaware as he was ) who created his Arthur Murray Dance Studio Systems-followed through. There was a fight over the numbers racket in Harlem ( the Mafia won) which led to it's collaspe, ie. the small economic boom, which was already hit by the depression, and " of " which supported it's cultural leadership. The dance studios which were emerging at that time filled in the vacume. Moreover, it was done to capture and exploit the freedom of Swing, and other forms of dancing to the jazz, and to promote it primarily controlled in the white man's hands, as well as it's artistic ends. This triggered a negative reaction within the, then, existing African American youth, as the Lindy name grew in dominance, the linkage to the dance being a white man's dance grew, and they lost interest. It was from here, as early as 1932 in Forest Park Georgia where I heard the term " Dan " Z " ing to " da " Jazz " used by a lovely, yet elderly African American Jasmine Calhone at a club which had only Georgian red clay for its flooring, upon which she produced impressive moves to " da " jazz. Thus began my romance with the dance. Right in the heartly land of the "Old South ". Musician Sam Mam Roberts , Chevy Chase Maryland, passed on to Roger M. Christian at Mama's cafe near 14th Street Washington,D.C.Spring 1970. I belived him, since I was told about Jasmine by my grandfather. Steven Christian Senior, Atlanta, Georgia. Roger M. Christian, Ithaca's most experienced dance teacher in s...by far. Jasmine Calhone, Forest Park Georgia.